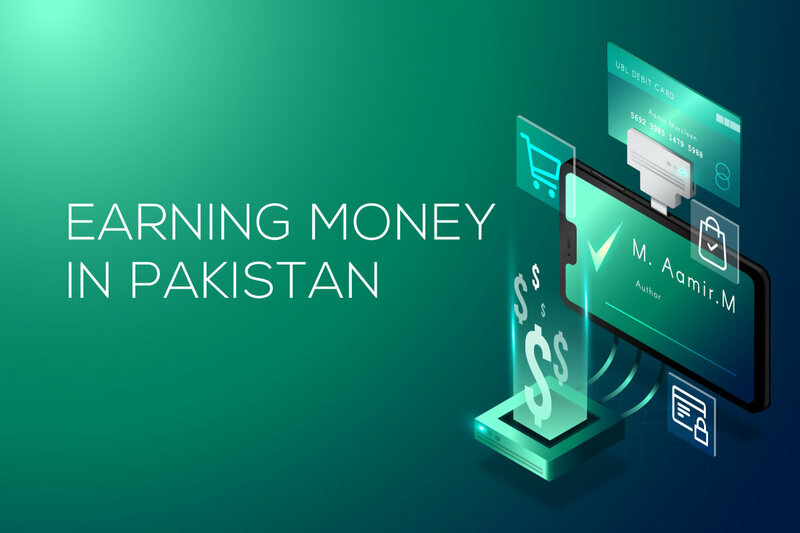 In this guide, you’ll learn everything you need to know about earning money online in Pakistan. (And most important of all) how to achieve the goal. Before talking about it, you must know that there are sites full of scams and fraud, and people don't investigate and they jump into making money online. It's critical you investigate the site to know. 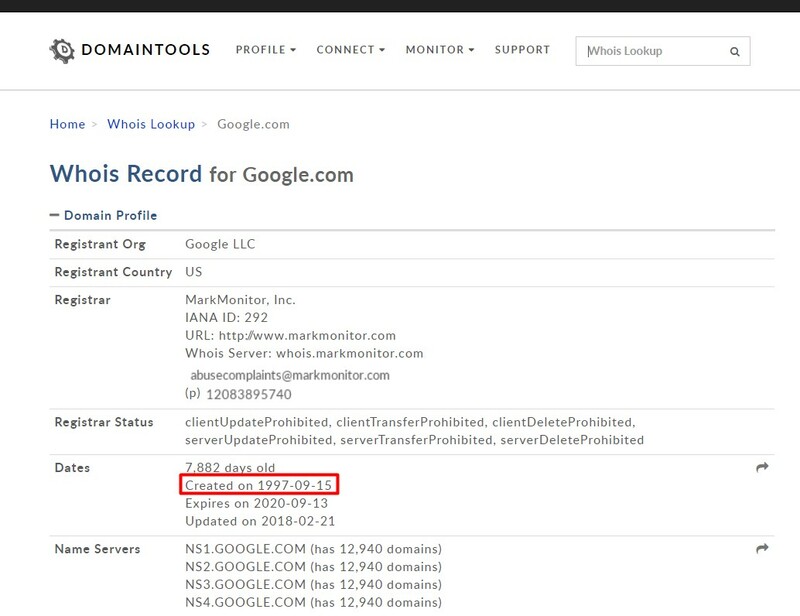 How long they are doing the business with the help of Whois Tool. If the domain is new like it was created between 2017 to 2019, then it is more likely to be fake. See online review with the review or the site + scam. Have you received the Benazir Support SMS? The scammer has made many spelling mistakes. In this section, I will not tell what is working in the USA - Virtual Reality, Augmented Reality, Artificial Intelligence, Machine Learning, and Data Science. Rather I'll explain what is working in the modern era and how you can learn for free. After learning the skills, you will not only able to earn money in the country rather you can offer your services to the western world that will be explained later in this article. 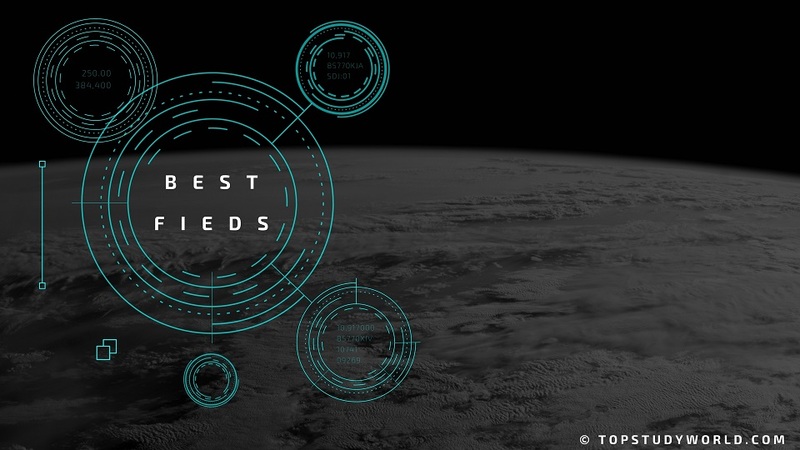 These are the fields that are the most demanding in the modern market and can be learned for free of cost. It’s the hottest field of the 21st century. Millions of websites are made every day, every business needs a website, every new school, college, university, office, and shop need a website. They can pay him from Rs.30,000 to millions of rupees to make a site depending on the design, scale, talent, skills, and experience. You will read everywhere that you find only a few web developers who have no job either he will be working in a government institution or private, otherwise freelancing would be its best friend. To be a good developer you need patience because it is a skill that takes time. But you can learn in 6 months easily if you are willing to do. Back End Web Development usually consists of three parts: a server, an application, and a database. Code written by back end developers is what communicates the database information to the browser. This includes both. You can become both front and back at the same, but it takes extra time. He is paid more than front and back end development. Time to Learn: 6 months to 2 years. Success Rate: The day you become a good web developer and can make the modern responsive websites, you can get a project within 3 months on Fiverr, Upwork, Guru, Freelancers, and via Facebook Groups, see Step 3. 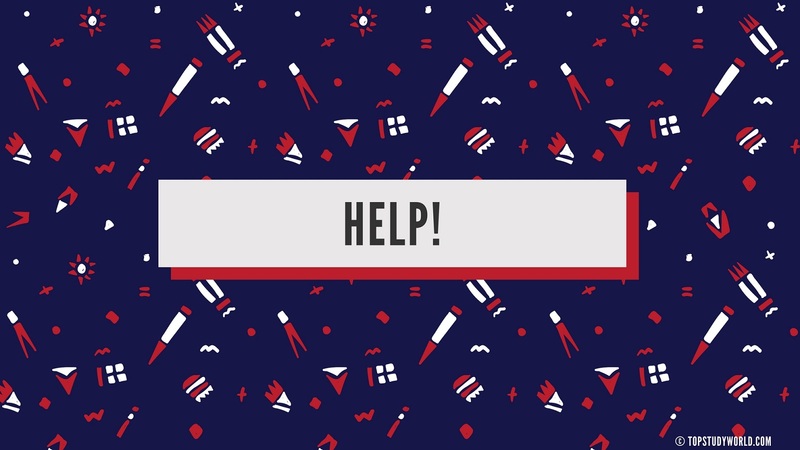 Problems: You will be stuck because of some complex syntax errors, but you can get help from StackOverflow, Google, Facebook. Money: You can earn minimum 50$ to 10,000$ per project per month. Cons: It’s ever changing field, so you have to keep yourself updated by following the new technologies, and needs a lot of practice. It's not a problem if you love to learn new things every day. Who Should Learn: If you’re passionate about changing the world by making amazing sites as Mark Zuckerberg did - the founder of Facebook, then this field is for you. The only thing that needs the most is curiosity. When you search every problem via Google, and you want to be an ethical hacker. Where You Can Earn Money: You can earn money on Fiverr, Upwork, Freelance, and Guru. You can go to the businesses like a new school, college, university, and shop, and say them you will make a site because in the modern website people loves to visit the site to observe a site rather to leave the house. Investment: Zero investment if you learn by yourself from the free websites. Otherwise, you can take courses from 10$ to 50$ on Udemy, and 300$ on Udacity. Market Value, Scope, and Competition: Competition is medium because clients are looking for the web developers that charge less money because experience web developer charges a lot of money, so in order words, the scope is board. 1, Front-End Web Developer Nanodegree: 199$ Per Month, but FREE for 7 Days if you have a credit card. Getting a Job within 6 months is guaranteed by the site because the teachers are from Google, GitHub, AT&T, Take this course after mastering HTML and CSS that I shared above. 2. Front End Web Development: This is the course made by Treehouse, you have to pay 25$ monthly in order to take all the programming course. First 7 days are free. Millions of websites are created every month, there is a huge demand for content on the internet. Blogging businesses experience 126% higher lead growth than non-blogging businesses. That's why I say getting a job in SEO Writing is a piece of cake in the modern world provided you write great and know how search engines work. To write an SEO-Optimized article, you have to learn On-Page Practices for writing an article. If you know the SEO to a great level, then you can make blogs that can get traffic from Google as Top Study World is doing. I know SEO that helps me to find the keywords that are people searching but have no content on the Internet, then I write articles on that. A keyword is anything that you write into the search box of Google. You can rank any site higher in the Google Search Engine. It gives a lot of advantages because every business owner wants his site to the top of Google as well as content is needed. Learning SEO is the best skills you can get. I give you a guarantee you will never be sad because of not getting a job or about earning money. Time to Learn: 3 Months to 3 Years. Success Time: It depends on how well you have learned SEO. It may take 3 months to 1 year after clearing all the concepts of SEO. According to Ahref, average time to the success of a site is 1 year. You need to do hard work for a year in order to get success. But if you learn SEO effectively, you can achieve within a year. Did I mention patience is the key to success in any business? Problems You May Face: At times when you will see my site is not ranking, you may feel some tension and anxiety. You don't need to worry rather you should go to Facebook Groups, Quora, and Google your problem. The major problem a site doesn't rank is not making quality backlinks. Money You Can Earn: You can earn 150$ to 1000$ per month if you earn from Google Adsense. Otherwise, with affiliate marketing, you can earn up to 10,000$. Cons: There are more than 200 factors that affect the ranking, it may take a long time to clear the concepts. You need to do a lot of experiments. But the fundamental remains the same as Google needs the best content among all the top 10 results. Who Should Learn: If you’re curious how search engines work, and you want to rank your site higher in Google, then this field is for you. You can rank any site for any shop, business, college, and university and many other blogs. Where You Can Earn Money: There is a high demand for SEO Experts on Fiverr, Upwork, Guru and Freelancers, many SEO related Facebook groups and many new businesses who can rank the site higher in Google search. You can make a blog where you will bring traffic from Google, and apply for Google Adsense to earn money. The more traffic you bring, the more money you earn. But not the fake traffic otherwise Google is smart enough to check the real traffic, and can you ban. Market Value, Scope, and Competition: Competition is medium because every person who just reads a few articles on SEO consider him a so-called SEO Expert and offers services on the freelancing platform. You can stand out from the crowd by making your site that is getting good traffic. Because here what you have done matters, not what you know. The real expert is the one who has a blog and ranks the keywords and has good traffic. Do you know? The forecast says SEO-related spending will be worth $80 billion by 2020. There are many smartphones are bought in the world than any other things like laptops, tablets, and desktops. Average people spend 2h 15m daily on the smartphone to check the notifications of e-mail, Facebook, Instagram, Snapshot, Whatsapp and many other apps. Today, almost every website gets more than 50% users via a mobile, even our website TopStudyWorld gets 60% users via mobile. So what this data suggests? This data suggests that there is a huge demand for apps that have great potential to earn money. Websites earn money from Google Adsense, and apps earn money from AdMob. Then again, every business, college, university, and shop need an app where they can interact with their users without going to their websites with apps. People have become so much lazy, that's why, Amazon, Aliexpress, and Uber make a lot of money. Because business is about people, the more you are able to see their needs and wants, the more money you can earn. Due to this data, app developers are in demand than ever before, and their importance is more than anything else in this era. Time to Learn: 1 Month to 3 Years. Problems You May Face: You may face some complex problems related to programming, finding a teacher that can help you in this regard. Some online platforms can help you to get rid of the problem. Money: You can earn 100$ to 20,000$ per month. Who Should Learn: Who wants to make their own app, and have some great ideas. If you’re passionate and curious about the technologies. Where You Can Earn Money: You can earn money by making apps on Flippa, Fiverr, Upwork, Freelancer, and Guru. You can manually make apps for the people by posting to blogging related groups with the method I mentioned above. Investment: Zero if you learn by yourself. Otherwise, you can invest 10$ to 50$ to join a quality course on Udemy and 300$ if you learn from Udacity. Market Value, Scope, and Competition: Competition is low in the third world country like Pakistan, India, and Bangladesh because almost every site needs an app, but developers charge a lot of money. The starter can make an app at low cost, and sell on Flippa or you can make for a client. You need to have a Google App account that is of 25$. Free Resources To Be An Android Developer. 1, Android Basics Nanodegree by Google: 199$ per month but Free for 7 Days if you have a credit card or Easypaisa Virtual Debit Card, see the Payment Methods Section. 2. Become an Android Developer by Google (Advanced):199$ Per Month but Free for 7 Days if you have a credit card. It’s also the best field, and its demand is high too. Because graphic designers have to make banners, covers, icon and other things for the Android Apps, iOS Apps, websites and other offline stuff. You have to be creative in this field because without being creative, it is difficult. But don’t worry even if you’re not creative. You can be creative by the same method that is taught in our school. For example, if you want to be a poet, you have to read the books written by famous poets in order to check their vocabulary, fluency, and weight of words. The same goes for it if you want to be a graphic designer, and you want to make great logos, then you can check the famous logos via Google Image, and observe everything. 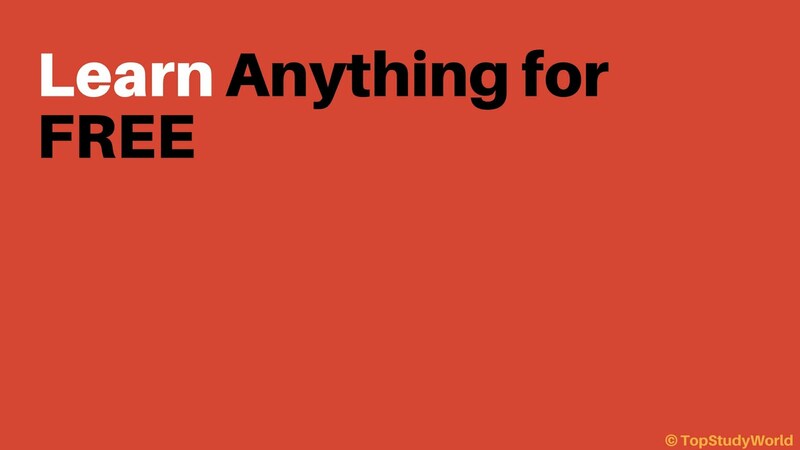 The color pattern, the distance between the text and the slogan, then try to make the same. In the beginning of anything, you need to be a copy cat. You can copy the design, once you understand all the rules, and laws, you can make your own. Time to Learn: 1 month to 2 years. Success Time: You can start earning money from the day when you can design a good logo. For a job, you must have a decent portfolio. All the great graphic designer make their portfolio on Behance because it is free, a product from Adobe, and have a professional look. Money: You can earn 50$ to 20,00$ per month. Cons: If you are not creative, it may be the biggest problem. It needs patience to have a good portfolio. Who Should Learn: Who loves to make great icons and banners. And have a great interest in Adobe Photoshop and the biggest thing you love making different drawings. 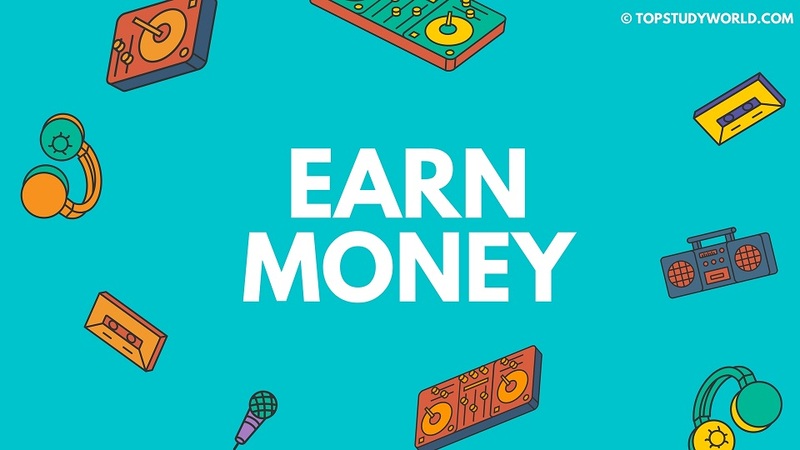 Where You Can Earn Money: You can earn money by making logos and other things on Fiverr, Upwork, Freelancer, and Guru. 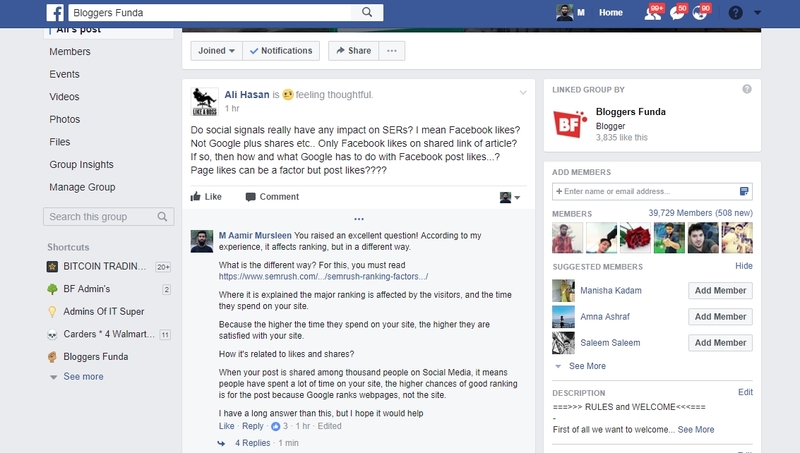 You can post in different Facebook groups related to your field and blogging, and impress the people first by sharing, then demand money. Investment: Zero investment if you learn from the internet. If you want to get a job in less time, you can advertise via Google Adwords or Facebook Ads by making a site on Wordpress. Scope and Competition: Competition is high because there are so many software that help to make good logos and the market is saturated by low-quality designers. But if you're creative, then there is no much competition if you know how to use the brain. I've told above that if you have a website, you can earn money from Google Adsense, it is a Google product that is used by website owners to make money from the visitors they get from a site. Google earns 78% of its money from advertisements, but how?, Google gets money from advertisers than it is given to the owner of the website for being displayed their ads. Then another comes into play by which you can money a lot from the internet by affiliate marketing. You might be thinking about what it is. For example, you make a relationship with a dentist, and he says if you bring a client, he will get it's 30%. The person brings a client, the client pays him Rs. 50,000, he gets Rs. 15,000. The same goes for e-commerce where you make a site like Daraz, the more you sell, the more money you can earn. Daraz offers D-Force programs where you can deliver the product to the client, and you can earn money. You will get no harm. You might be thinking about how you can sell the customers? The simple answer is Facebook Ads where you can spend 5, and your product can be seen more than 5000 people if only 10 buy the product at 50, and you can 5$, then you will 50$. The long answer is that you can make a site related to the products being sold on Daraz, then bring the visitors, they will buy the product, for this, you need to learn SEO. Time to Learn: 10 Days to 3 months. Success Time: It may take 1 month to 2 months if you learn the affiliate marketing and advertising with Facebook Ads otherwise it may take 6 months to 1 year to rank your site. Money: You can earn 100$ to 100,000$ per month. Cons: It needs patience, and practice a lot. You need to learn the latest trends, and need to observe the needs and what people want. Who Should Learn: If you have some money to invest online from 5$ to 100$ per month, and you love to take risks, then this thing is for you. Big money comes from a big risk! Where You Can Earn Money:; You can make money by making a site where products will be sold to the customers online. You need to have things at your home rather the supplier will supply the products. You can use Shopify for drop shipping. Dropshing is that your client orders something from your site, you make a partnership with the shop, the shop provides the product. You can give the product at 50$, but the actual price would be 20$. In the USA, the average earning of people is 100,000$ per year, it means 1 crore rupee per year. They have no problem in buying an amazing product at 50$. Understand the system continuously for 1 to 3 months. Investment: Only 15 to 50$. You have to buy a domain, then the rest money will be spent on advertising via Facebook Ads or Instagram. Market Value, Scope, and Competition: Competition is low because there are more than a thousand products that are amazing, but they are not available in the local market, it is why drop shippers deliver the product in his country to his country. You can deliver free of cost with AliExpress. It is now a 1900 billion dollars industry, and by 2020, it would be of 4000 billion dollars or 1 trillion dollars industry. There are some amazing websites where you can learn web development, but web development needs patience and hard work. You can't learn it without practice. You need to do the same practice as it is the case with Mathematics that you have to learn with practice. Web Development is no exception. (Recommended if you can spend 300$ per month). All the courses are taught by the leading people who work at Google, Facebook, Flipkart, etc. Udacity gives you a refund if you don’t get a job within 6 months after getting the nano-degree because they believe in the quality they provide to the students. Your projects will be checked manually by the teachers, so you become a better web developer. It may take one year to be a good web developer if you start Intro to Programming to Front End Development. But Udacity offers a lot of free courses too, see the GIF. If you can’t afford Udacity, then Udemy is for you. You can find dozens of free courses of Udacity about everything from photography to logo making, from SEO to Web Development. You just have to go to Udemy search bar, write the skill you want to get, for example, I wrote logo making, select the filter Free, and take the course. Just a free account on Udemy, and take free courses on any topic. It’s another great website where skills are taught by the leading universities of the world. Their classes are started at a specific time whereas other websites give you the leading website. You can watch the course free of cost, if you need a certificate, an additional cost is deducted. There are only a few people who know the real power of Youtube because 400 hours of content is uploaded to Youtube after every minute. People just search for the video, but there is another level where you can find what you want. Just write the skill you want, and go to filter, and check Playlist. Google is your best friend, I believe 99% of the students don’t know the real power of Google to search anything effectively. There are some advanced commands that can help you find the desired thing you want. Here are the some of the commands. When you type the above commands, all the results that are shown are the PDF files. It's the best investment you can make only 19$ per month because it has over 16,000 courses on any topic. I am really impressed by the quality Lynda has. As you know, Lynda is now a Linkedin company. It doesn't provide any course for free like others as I showed above. You can use your EasyPaisa Virtual Debit Card by depositing money from any EasyPaisa Shop. It doesn't need to have a Telenor SIM, you can use on any SIM. 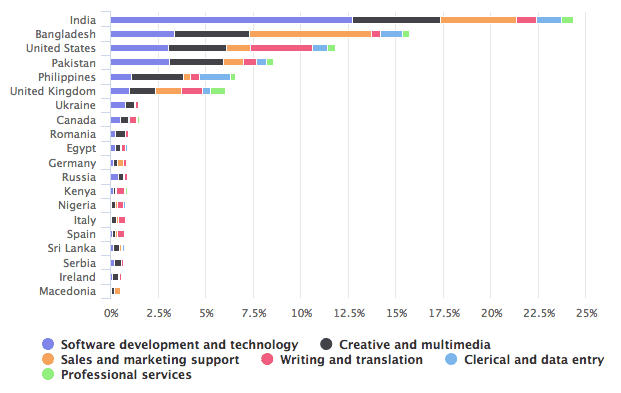 It's worth mentioning that Pakistan ranks as the 4th most popular country for freelancing industry, and the earning of top 150,000 freelancers of Pakistan is 1 billion dollars. The report published by OOI sheds more light on this. In ‘Top Occupation by Country,' Pakistan is placed at the 4th position overall in the ‘Software Development and Technology’ category. First, you should spend at least a month to get a job. You will try again and again after knowing the full game. You will offer your skills there, and you will offer uniquely, and you have to make a stand out from the crowd. You might be thinking the competition is hard there, nothing is hard if you struggle a little. Because the world's population is increasing day by day, that's why, the needs and wants are gaining momentum in the form of more websites, more apps, more writers, more developers. With the passage of time, the new developers are becoming experienced developers, and then they become expensive on such platforms. I am 99% sure, if you try to find a job in these sites and using the Step 3 one day you will get within 3 months. In the beginning, it may be difficult for you, but once you start, you will get success for sure. If you're a great On-Page SEO writer, then finding a job is easy. Because I have talked many times that great writers are always in demand. You have to use this sample to find a job on Facebook provided you have become an expert of your self. I daily get messages, and people ask me, "Please! Tell me the best writers" People die for finding a good writer that can understand the psychology of people to write amazingly. 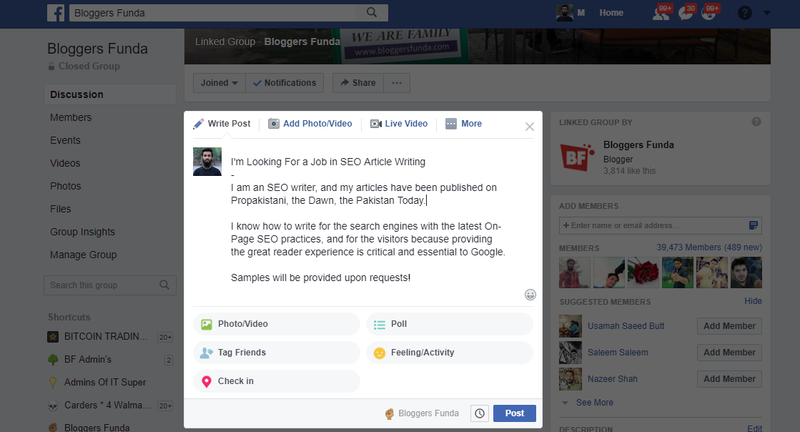 I am an SEO writer, and my articles have been published on Propakistani, the Dawn, the Trinine. I know how to write for the search engines with the latest On-Page SEO practices, and for the visitors because providing the great reading experience is critical and essential to Google. Samples will be provided upon requests! Title: Giving an impressing title is important because people are so much busy, they don't like to read the whole post. By writing a simple title makes your post stands out from the crowd. Slash - It is also critical because it separates the post. Body: It is the short paragraph where you will impress the people. Start with who you're (Please don't write your name because people don't care much about your name, education, and degree, they just want what is for me), show your portfolio where your articles have been published to impress more and end with an impressive line. Space within the Paragraph: It's also important because people like to read a shorter paragraph. 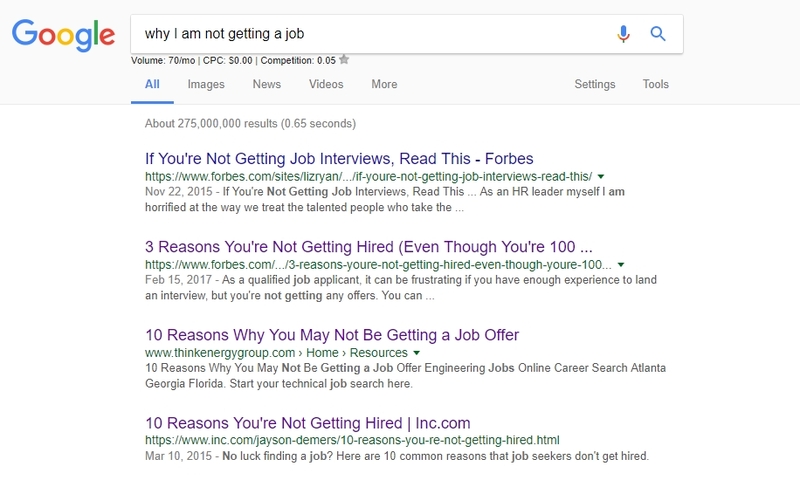 Suppose you're looking for a writing job, and you want to search the jobs that are posted within 24 hours, then Google is your best friend. See the above GIF, how to search. Google Alert is an amazing service that emails you when a specific word in the index of Google is listed. It helps you because you don't need to check daily, you can get an email. You have to write the keyword within quotes " " so that the exact word can be searched and emailed to you. It works on Android smartphones, you don't need to be a Telenor user to use it. You can install it, and make an account instantly. You can deposit money in EasyPaisa by going to their shops, and pay the cash which you want to deposit, then the fund will be transferred to EasyPaisa Mobile Account. And you can buy anything online. 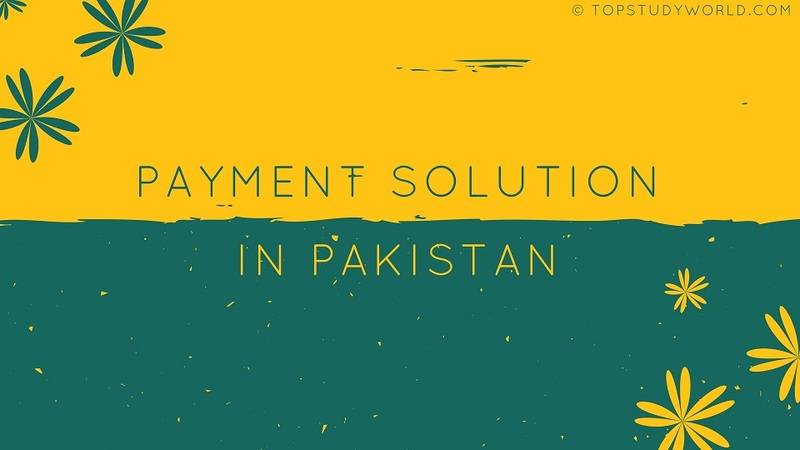 Once you have money, you can create a virtual debit card explained on Propakistani. Payoneer: It’s to make, a card is sent to the home that you have to activate. It has a yearly fee of 30$, and you can buy anything. UBL Debit Card: UBL has eradicated the UBL Wiz Card, but you can buy UBL Debit Card for any international transaction. I have used it on Google Ad, Facebook Ad, and many other services. MCB Lite Card: It’s also a card that you can get for free. 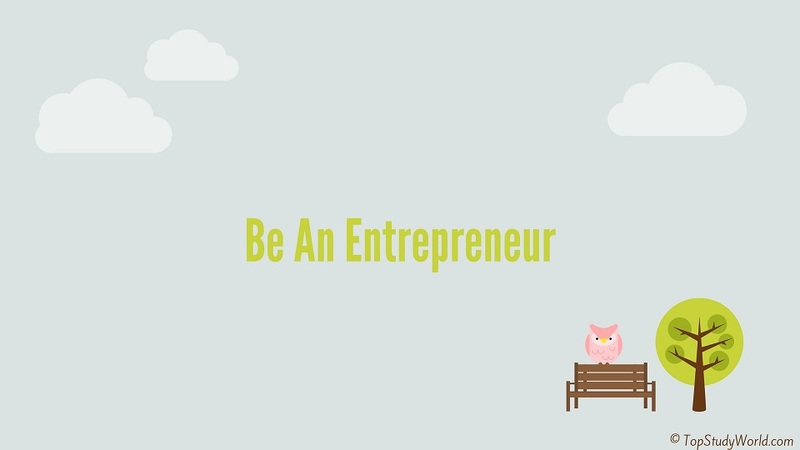 Becoming an entrepreneur is considered the most difficult thing because we students think that there are no opportunities in the country. According to my experience, there so many opportunities that have no limits. Because business is all about people, the more you understand how people think, what are the problems they are currently facing in the morning, afternoon, and at night, how people can feel better, how they can make their baby, children and adults to be more successful, the more you would be successful. Let's take an example of Careem. A lot of people in the USA were facing the problem of transportation due to high price and bad service of the bus and when Careem launched an app any body can book a car to go anywhere at a fixed price. I would say watch this video on Business Ideas, you will be shocked how can be successful and the characters of a good business. At times, when you fail after making a gig on Fiverr, and your website will get zero traffic. You will say nothing is working, and you will give up. You have to try and try until you get success. Success is a direct result of the number of experiments you perform. Some days come when you cry. It happens to many people. Even with Bill Gates who is the richest man in the world. It is okay to cry. Failures give you so many lessons. It's the saying of Jack Ma, the richest man of Asia. "I went for a job with the police; they said, 'you're no good,'" Ma told Rose. "I even went to KFC when it came to my city. Twenty-four people went for the job. Twenty-three were accepted. I was the only guy ..."
Can you imagine the pain behind that? When you have no money to eat, then you can only know the pain behind being rejected. Only the pain gives you the power to be anger, that anger ignites the fire inside of you to work on something amazing. It gives you more experience. It's the same reason when you apply for a job, everyone wants an experienced man because he has faced many failures, he can save his company from failures. A failure person learns from mistakes that make him wise, and next time he becomes more careful. For example, a few days PITB leaked all the details of the people who applied for a job because they didn't hire the experienced people. Now they would never make such a mistake. Failures make you closer to Allah. When you go to Masjid after many months, you feel the feelings of being alone. Prayers help in making you healthy physically and mentally. Failure gives you a challenge and gives you hope to be a success the next time. When you are happy, you forget to be human. But when failure touches your head, then you realize you're human and capable of mistakes. You can't learn the depth of a thing when you get success rather you learn more from failure and mistakes. 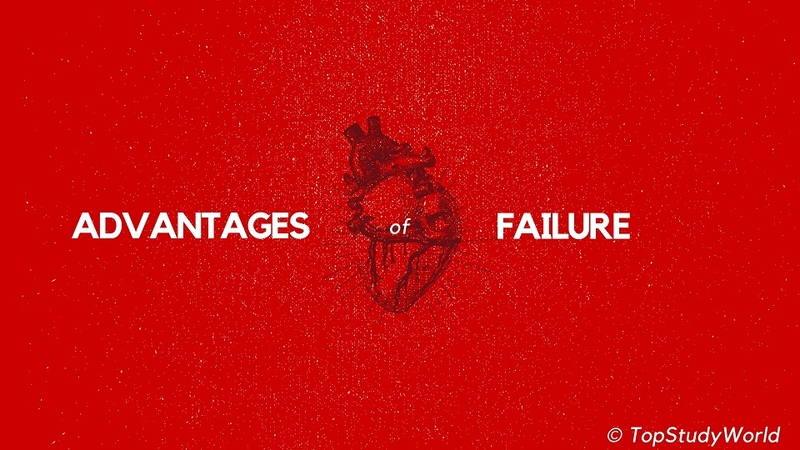 Because the effect of failure remains in your subconscious and remains with you all the time. In this way, you are less likely to do the same mistake. 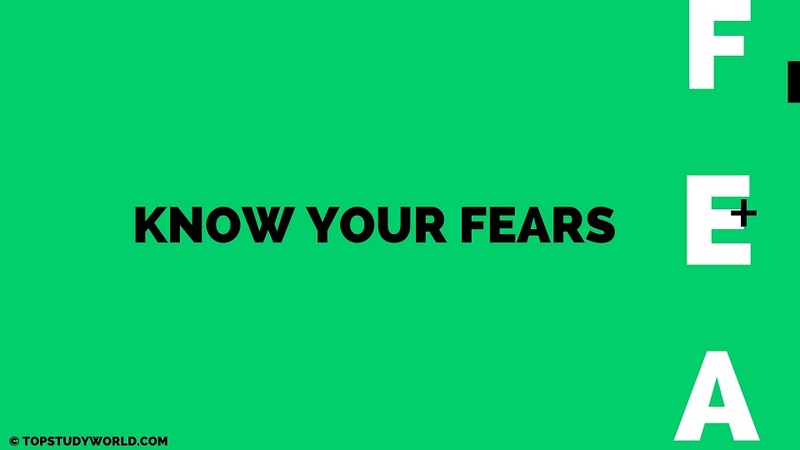 It is very important to know about the fears because without knowing, you may not take a step. We get these 3 fears the day we came on Earth. A) Fear of Loud Sound: When a child hears a loud sound, it makes him cry. This fear persists throughout our life. B) Fear of Height: This fear also persists throughout our life. When you make a baby fall, his facial expression changes, and cries. C) Fear of Choking: It is common among all because breathing gives us life. These below fears we get from parents, teachers, society, and media. These reduce our productivity and performance to a greater extent. It's one of the worst enemies that kill dreams of people every day. Seriously, millions, not a thousand. We spend the rest of our life to make others happy. We waste our life to be the apple of others' eye. We become what others want. And waste our precious life that will be given for once what we really want to be. "It was the wish of my grandmother." He asked, "Where she is now"
It means she has wasted her life. It means she didn't do what her passion was. Students do the same as she did. We are getting unsatisfied and aimless doctors. The same goes for an engineer. Every field has a scope, every field can give you handsome provided you have talent, passion, and skills. Skills Employers Think Fresh Graduates Lack. So, it's the same reason even the students of top medical colleges and engineering universities lack the above skills. These skills can easily be learned from Google, Youtube and free books available on the internet. That I will explain in detail in the getting skill Step 8. We are just worried about marks, marks and marks. This fear prevents from doing the right thing. A lot of people have this type of fear, that's why they don't go for a park to enjoy and don't start a business. “I have looked in the mirror every morning and asked myself: "If today were the last day of my life, would I want to do what I am about to do today?" And whenever the answer has been "No" for too many days in a row, I know I need to change something. You have to do something amazing every day even you die today, you don't regret. We afraid of making mistakes, but mistakes make us a master of that skill. When you start a business or anything, you should take a step, you should not wait for the time when you will think, when I become a master then I will start. Take a small step, just start right now. The more we talk about our fear, the more it hurts. It is normal in our society our parents, relatives, friends, and teachers talk a lot about your fear when you fail in something and every day they remind you, and it makes you furious and sad. In the first point, I said not to take with a person about your fears, but talk to an expert who has knowledge about the fears and have gone through the fears that you are currently facing. He can give you many pieces of advice that can be helpful to overcome the fears and can help you to succeed. If you're a person who is waiting for the perfect moment, and you think, I would work only when there would no fears and risks then you're less likely to succeed. You have to work and take the initiative. Take a step. No matters either you get success or not. Keep experimenting! If you're static, and not taking any steps to ahead in life, then who will? It's a simple psychology technique to eradicate fears. Take a piece of paper, and write all of your fears on that paper, and take a matchstick, ignite it, and burn the paper. See how the paper is burning. If you can't burn, then tears into pieces several times. It will reduce your fears to some extent. Kya Ho Jaye Ga Agr Naqam Ho Gaya? Mout to Nhi A Jye Gi Na! (What could happen if I fail? I will not die!). You have to question your fears. These fears can be of any type either related to your relationship, where you work or your study related fears. Finding a passion is so critical that your whole life depends on it. If you want to do just to make others happy, then you will kill your dreams, and it will only exist in the deepest corner of your heart. Passion is the thing when you do, you don't need to look at the clock how many hours have been passed. It means all the people who are doing a job and time doesn't pass and they don't enjoy, then that thing is not the passion. Borism is one of the best gifts given by Allah that shows you this thing is not working for you and you're not enjoying. When you bored of something, it means, you don't love the thing. 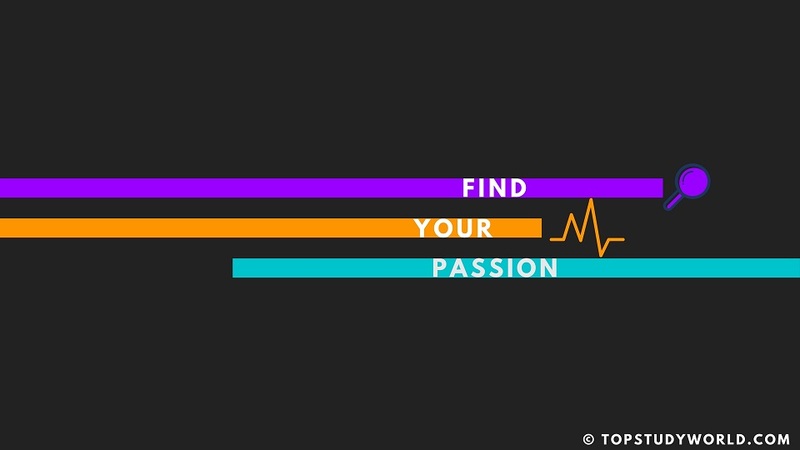 It means it's time to find the passion doesn't bore you. Passion is something that you love doing without being worried about money. It's the thing that you love to do for free to your friends and other people. It's the thing that you can do for a year or 5 years because you love doing. If you haven't found such a thing, keep finding. Can you read 500 books on your passion? If so, that thing is your passion! I have a passion for SEO, I have read many books still I read the news every day about it what changes are being made in the Google Search Algorithms. It's one of the best technique that helps to find a passion because at that time you followed your hearts, not brain. Remember the memories of your childhood when you were awarded something. For example, in my case, I used to install Windows XP and removed dangerous W32.Sality viruses from the people's PC when I was in 4th Class. A lot of people appreciated me. I know the solution to every problem because when they have a problem, I used to do Google thanks to 230 kbps Dial-up Connection of PTCL. It means I have had a passion for computer related things. I just needed to find the exact thing on that I could be passionate that was SEO and writing. Earning money and becoming successful is not easy, but it's easy if you're curious and dare to ask a question. Here are the following platforms you can ask a question. I would say join more than 10 groups related to your problem, then ask the same question. If you're afraid of your friends, who will make fun of you because they would "Yar! Kya Karny Lag Gaya Hai Aaj Kal, Khair to Hai". You can make a new account to avoid this leg pulling. You have to ask a question by the same method that I taught you above for getting a job - appealing title, slash, and short paragraphs. It's the latest platform where people help people with their hearts because most people spend their free time to help others than wasting time on Facebook to get more likes, comments, and share. I too use Quora to help others, as well as, I ask questions! According to my experience, a lot of people who ask questions can easily be found by Google. Google is more than 500 billion dollars company they invest millions of dollars to give the best results to their users. Write your questions, I hope you would find the answer. By learning Advanced Search operator of Google can help you to find your answer instantly. Facebook has made life easy of thousands of people because 2000 million people are connected to Facebook. It creates unlimited opportunities for business and also it creates opportunities for the people to ask for help. Join the groups that are related to your problem, and copy the question you wanna ask, and paste all the related groups that you have joined. In this way, you will get higher chance to be answered. 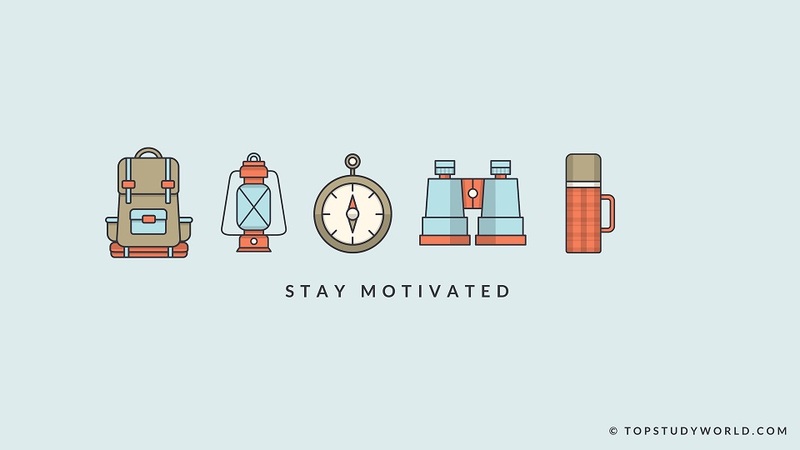 Staying motivated towards your goal is difficult, at times, it seems impossible. But thanks to the modern technology and the internet, it becomes easy too. You can watch the videos of motivational speakers, they help you to tell the wisdom that they have got after reading a lot of books and help you to discover the INNER YOU otherwise it may take a year to read the detail what they tell. When I used to watch motivational lectures initially, I said "Ye to Wesy Hi Hai, Koi Faida Nhi Hota," but when you change this attitude and consider them your teacher, and you say yourself you know nothing, then the game changes. He was one of the earliest motivation speakers that I came across to change my life when I saw his video on how to find passion. I decided to do the CA after F.Sc when I wasn't able to take admission in Pakistan medical colleges. 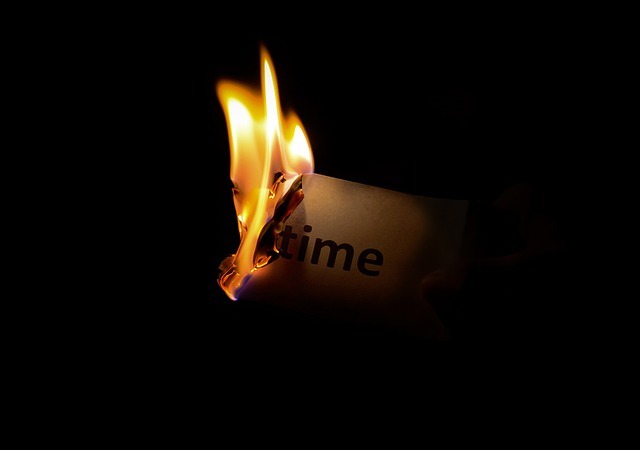 You will feel the smoothness in words, and you will rarely seem time is passing. His words have wisdom that you get after reading a lot of books. When I had watched all the videos of Qasim Ali Shah, I needed another person who had the same word power, then, fortunately, I found Sandeep. He uploads videos once a week. He is a great businessman and founder of Imagesbazaar that worths millions of dollars. More videos on Sandeep Maheshwari Youtube Channel. More videos on Tony Robbins Youtube Channel. If you have any questions, ask without hesitation, I would love to help you. Pakistani ask me, "how to earn money online? ", I just simply say follow this guide step by step!